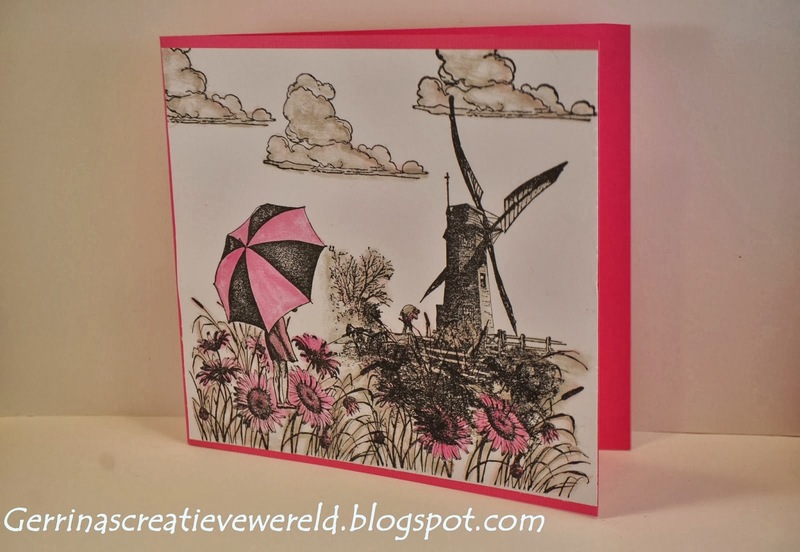 Craft a Scene: February Craft a Scene Winners! Good Sunday morning to everyone. I do hope the weather is cooperating in your part of the country. Old Man Winter has been quite angry this year leaving most of North America in the cold and snow. I received an email entry from our friend Margaret in Yorkshire and I forgot to post it. So Margaret your lovely card is on display today! Even though our numbers are small (just 20 this time), I can see that you all had fun sharing with us your favorite techniques for making scenic cards. 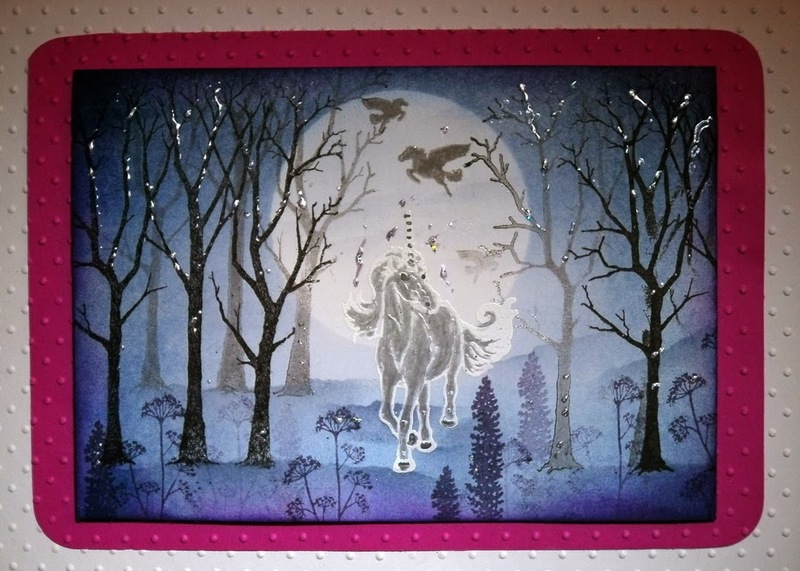 Thank you to everyone who entered and especially to our guest designer - Emma from www.thesparklyfairy.blogspot.com. 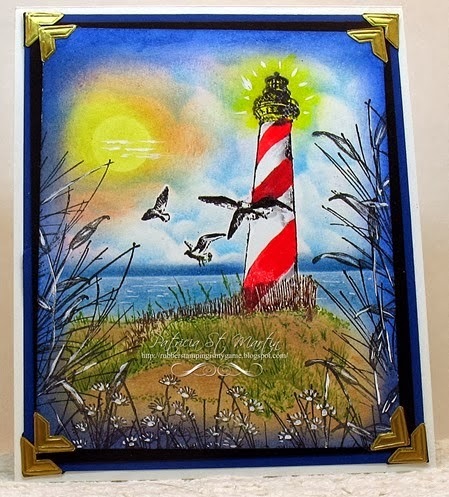 I always find it difficult to limit myself to just three top entries as there are so many really wonderful scenic stampers who enter this challenge. Be sure to take our badge to add to your blogs (if you have one). Here are the selections for the top three for February. Oh and I couldn't help slipping one more in to the Top category. This is an entry that came to us late in the week and I love it. what a fantastic scene. I like the unicorn, and it shining up by the fantastic moon! beautifully! Thanks so much for picking my card as one of the top 3. I love creating cards with scenes and I love the challenge.